Highlighting the 'process' which some say constitutes the work or labor of an artist, has been the main focus of our recent blog posts. As a group, before the artworks were installed at the library, the Flower Power artists shared with one another how they were inspired to select their specific flower, what techniques were used to achieve the details in the artwork and what challenges were faced in the process. As simple as our theme seemingly was, there was a lot for the group to share with one another about their process. Some of the Flower Power group. Come see this community art installation! 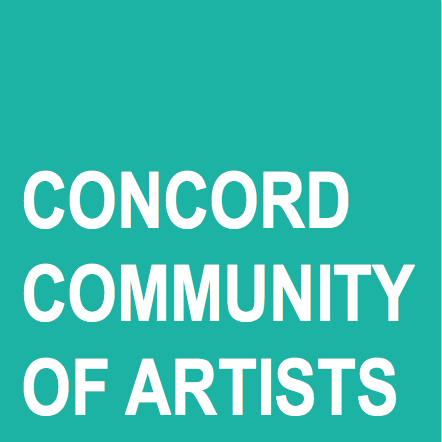 Only a few days left at the Concord Library until May 31. Be sure to check library hours during the holiday weekend.